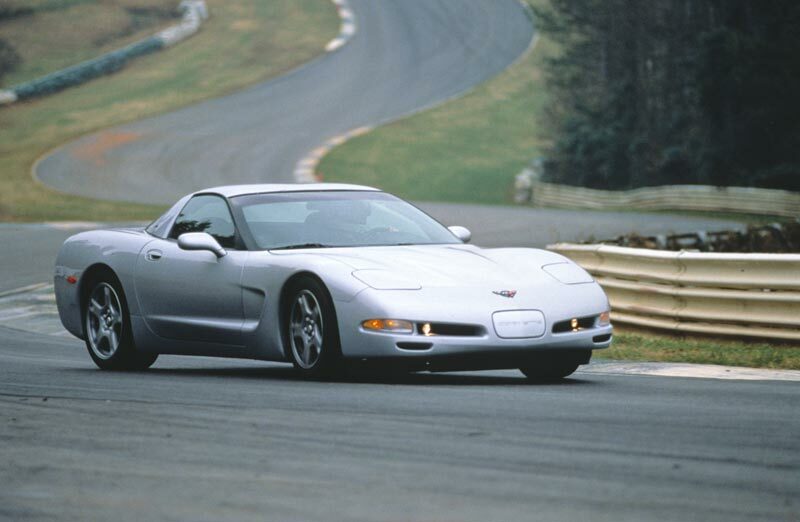 1997 was the first year of the C5 generation which featured a cove area in the side and rounded frontal area. 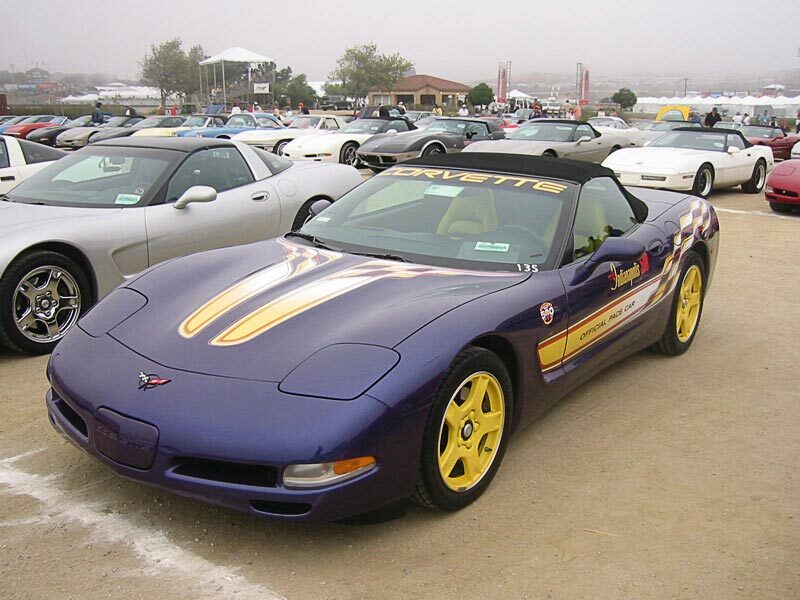 There were no 1997 convertibles. 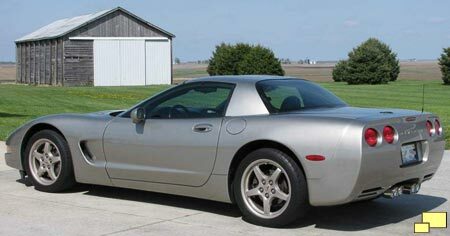 1997 through 1999 stock Corvette wheel. 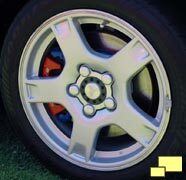 This was the only factory sourced wheel for 1997. 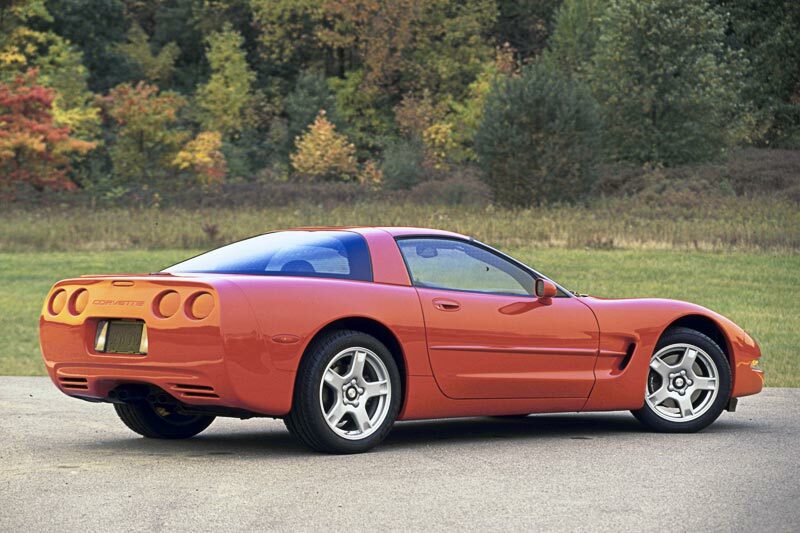 With the exception of special editions, the exterior of all C5 Corvettes coupes remained the same. 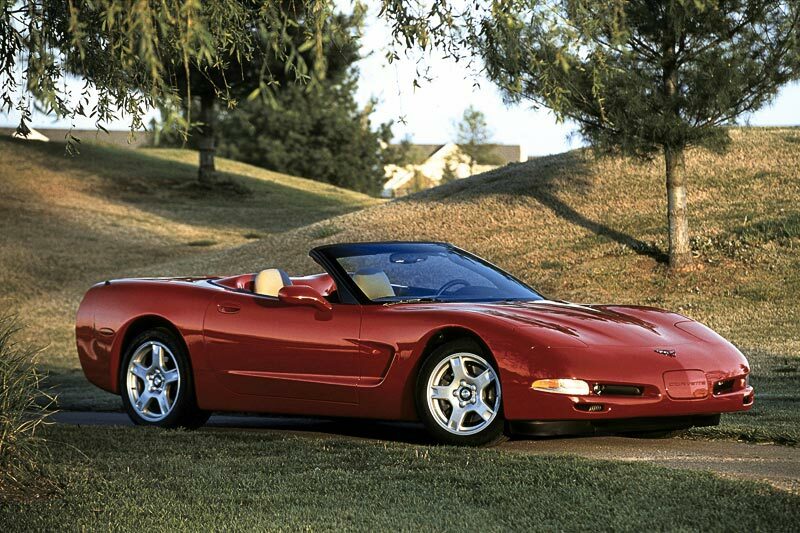 Although a convertible was not available for 1997, you could get one in 1998. 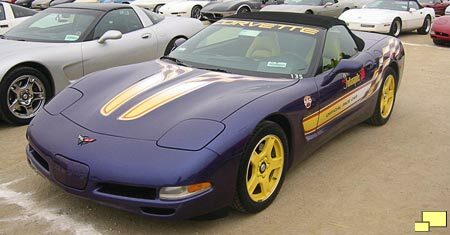 Indy 500 pace car replica was a 1998 option with purple exterior and black / yellow leather interior. 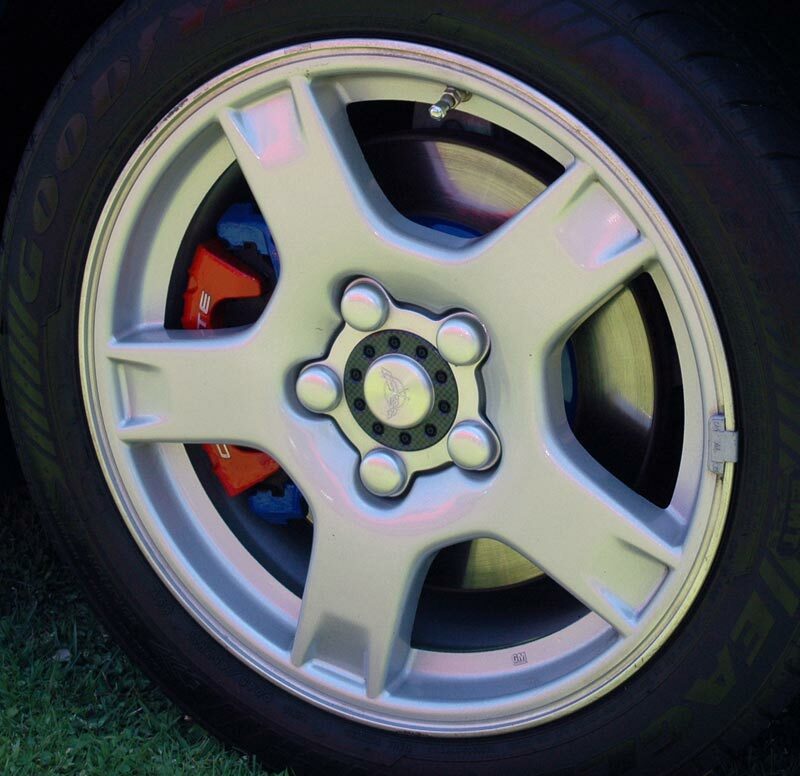 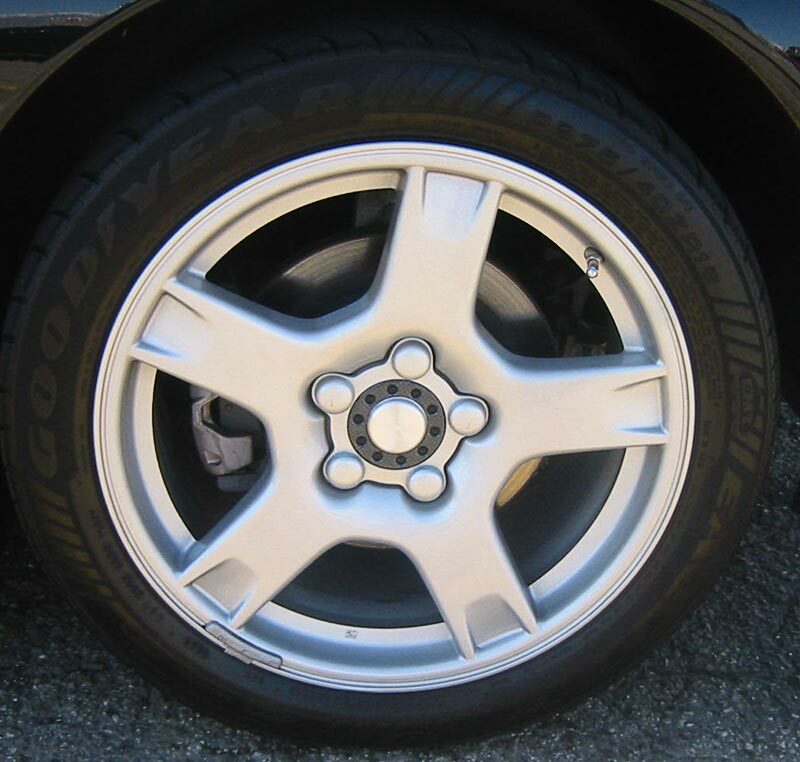 The stock 1997 thru 1999 Corvette wheel, sometimes affectionately known as the "Wagon Wheel". 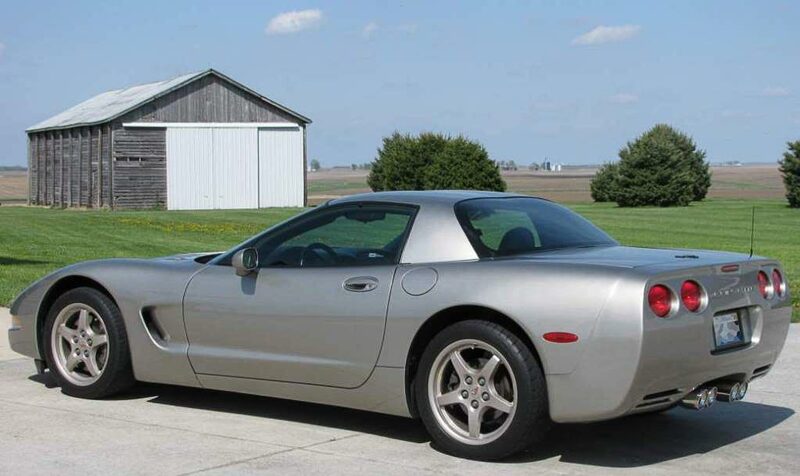 A very handsome and somewhat rare true magnesium wheel (RPO N73) was available on the 1999 thru 2004 Corvette.